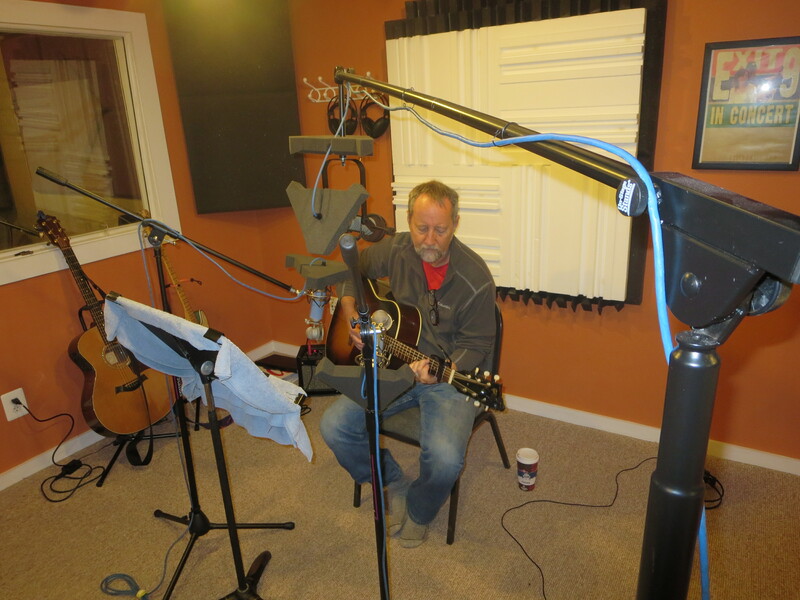 Yesterday we returned to National Media Services in Front Royal and cut three more tracks for the new CD with Will Shenk. That gets us to six tracks of raw bits in the can. We’ll probably end up with 10 tracks on the CD when it’s done. We won’t really know until we’re farther along in the process. 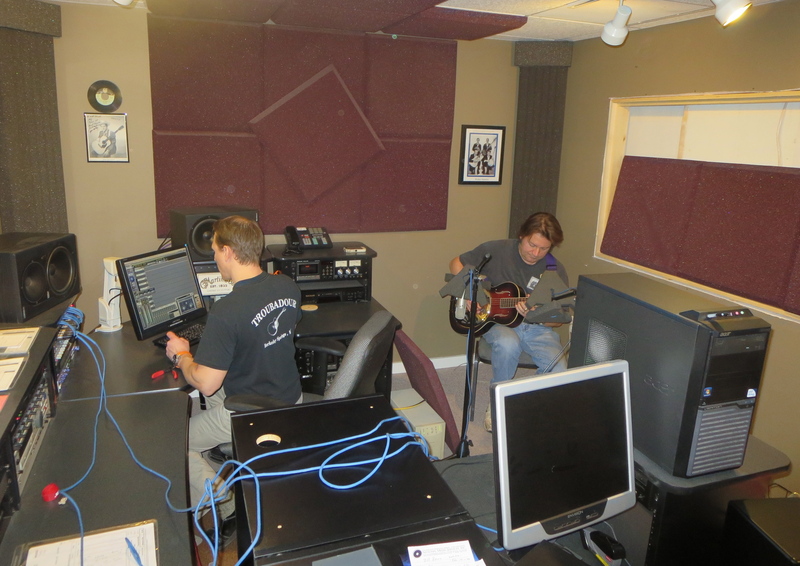 For our second CD effort, we’re taking more time in the studio. Our first CD 13 was a 29 hour quick hit marathon. We spent 9 hours putting down the 13 tracks in a killer session and then 20 hours engineering the CD that you can buy today. So far on CD #2 we have spent 10 hours in the studio on the 6 tracks we have in the can. CD #2 will be more polished. We’re psyched about the new music we’ve written, and hope to play it for you live this Friday at the Barns of Rose Hill in Berryville. You’re coming to see us, right? 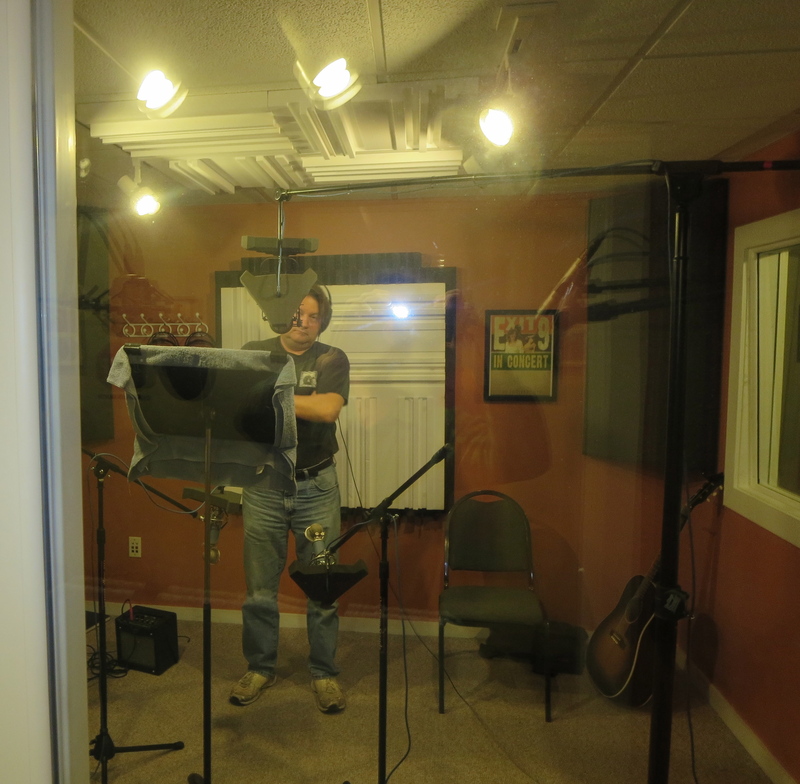 Allen Kitselman punches in some vocals. MIke Jewell in the zone. 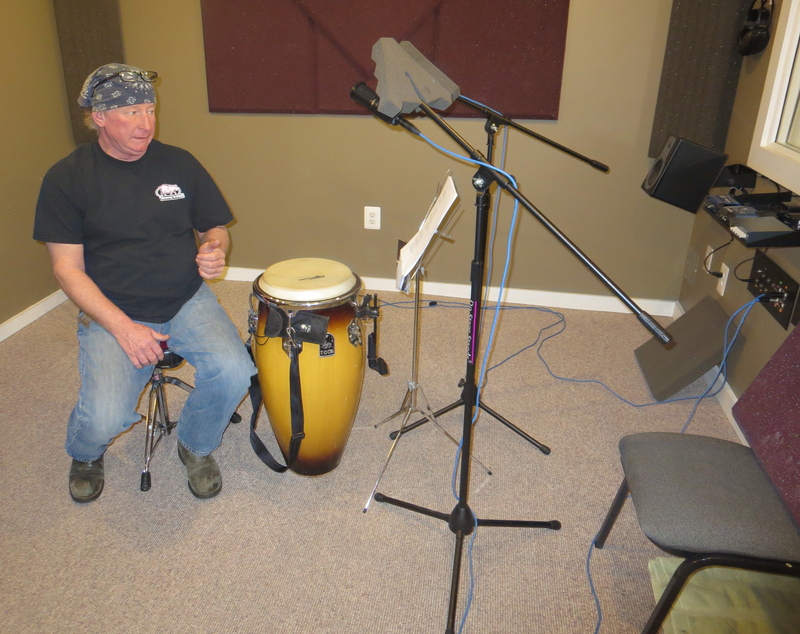 Allen Kitselman adds some resonator. 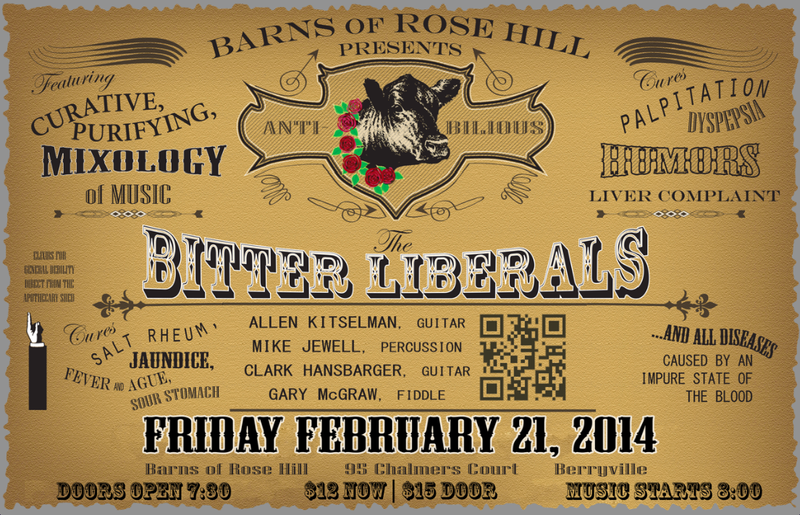 This entry was posted in 13, band, bitter liberals, CD, gig, original music, poster and tagged 13, Allen Kitselman, berryville, bitter liberals, CD, Clark Hansbarger, concert, conga, entertainment, fiddle, gary mcgraw, guitar, mike jewell, music, national media services, new songs, story, will shenk. Bookmark the permalink.